Church Investors Fund investments are not insured by CDIC. No province’s securities agency has recommended or endorsed an investment in Church Investors Fund. In most Canadian provinces, we must meet specific registration requirements or be exempt from registration before we can offer investments. Since our beginning in 1973, Church Investors Fund has never lost money on our loan portfolio or defaulted on a payment. For a more in-depth look at Church Investors Fund’s Management of Risk, view our Annual Report/Subscription Agreement. Church Investors Fund bonds are available in terms ranging from one-year to five-years. 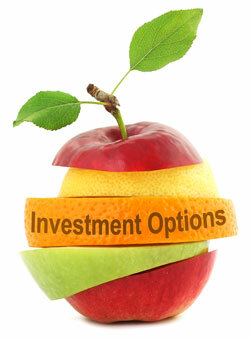 All term bonds carry a minimum investment of $1,000. Because of the variety of terms available, it’s easy to find one that best fits your investment needs. Foundation Bonds give you the flexibility to invest any amount at any time, and to redeem funds up to three times per month at no penalty. The minimum investment is $100. RRSPs are designed to offer tax-deferred growth which can give you substantial savings by the time you retire. All the interest you earn is tax-sheltered until withdrawn, and you may deduct RRSP contributions from your taxable income. The minimum amount for opening a Church Investors Fund RRSP is $5,000. RRIFs are available as well. A Revocable Charitable Gift allows you to leave money to Church Investors Fund or another North American Baptist ministry of your choice. During your lifetime you earn interest on your investment and retain the right to revoke your gift if you choose. Upon your death, the funds become a charitable gift and are given to the ministry you designated it to. Building Fund Investments offer our North American Baptist Churches the opportunity to have an investment with no maturity date and withdraw money at any time without penalty for building purposes. Building purposes are broadly interpreted as any planning, design, purchase or repair of buildings or land. The rate changes monthly and is based on the three year Term Bond.